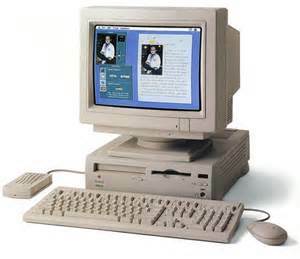 For those of you who don’t know, the x200 series was comprised of a (large) number of Power Macintosh and Performa models made in 1995 and 1996. They suffered from what has been called the most bizarre architecture of any Mac ever made. I’m not going to bother talking about all of the architectural problems that these machines suffered from; I really want to talk about the experience of using them. If you are unfamiliar with these machines and want to know why they were so bad, I would suggest reading this article; it is a fascinating read and explains the issues quite well. Now I don’t blame you if you didn’t read through the entire list, as it is quite long. Here is an easier way to spot these Road Apples: If it starts with a 5 or a 6, take a close-up look at it. If the second number is a 2 or a 3, you’d better just let it be. There are two exceptions to this rule (we just had to make it more complicated), and they are the Power Macintosh 6360/160 and the Macintosh Performa 6360, both of which have a completely different architecture and were actually really good little boxes. When these machines came out back in 1995, I was 10. Even though I was young, I had a fair bit of experience using Macs (I was the kid that all of the teachers came to when they needed help with their Macs). I was really excited when these machines came out. I read all about them in brochures, and reviewers loved them for their easy access design. I was most excited about their CD-ROM drives and their video editing capabilities (back then the buzzword was multimedia), I couldn’t wait for us to start getting them in my school. When they first starting arriving in the computer lab at school, everyone was really excited – at first. After all, these machines had the awesome new PowerPC chips in them, so we could finally start using multimedia educational CD-ROMs, and we were getting connected to this new thing called The Internet. What none of us realized at the time is that these machines were horribly crippled by an incredibly bizarre architecture that hobbled their performance when handling multimedia, connecting to the Internet, or even when file sharing with other computers on the school’s new ethernet network. People would complain about system hangs, crashes, dropped characters when typing while on the Internet (this was generally caused by MIDI files on websites playing while you attempted to type), and poor performance in general. There were some folks who never really had an issue with them, but most of them used them for light duty tasks such as word processing or playing games like Math Blasters or The Oregon Trail. One of the machines got a TV/Video system that was meant to do video editing for class projects. Needless to say, it never got used for that purpose. It was turned into a TV set with a VCR attached for movie days – at least it did that well. It didn’t take long for those machines to be replaced by the infinitely better 5400 and 5500 series Macs, which didn’t suffer from the bizarre architecture that the x200 series had. As bad as the x200 machines were, I do have some nice memories of them. They did introduce us to the Internet, which was a brand new phenomenon at the time. They also gave us our first glimpse into what the future held for multimedia, and they did a decent job of playing back video from a VCR. Probably my favorite thing about them was the startup chime – I always thought that was really cool. The only other thing I can think of that is a huge positive for the x200 series is that they had an upgrade path. It was very easy to swap in the logic board from a 5400, 5500, or 6360, which made them infinitely better, unlike today’s Mac mini and base model iMac, which have no upgrade path at all.